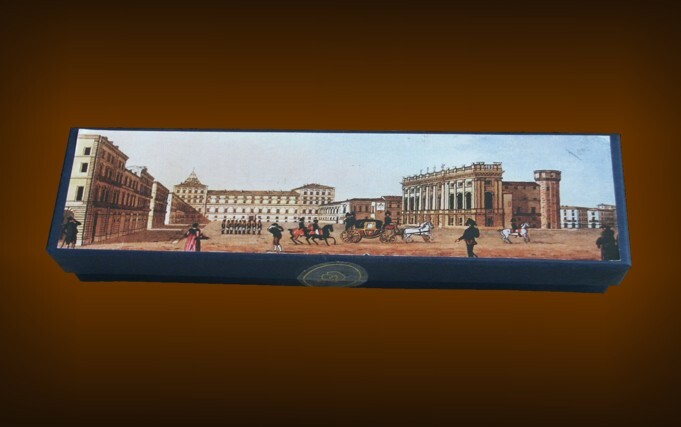 Elegant Case containing 100 gr. o 200 gr.(double-layered)gianduiotti. 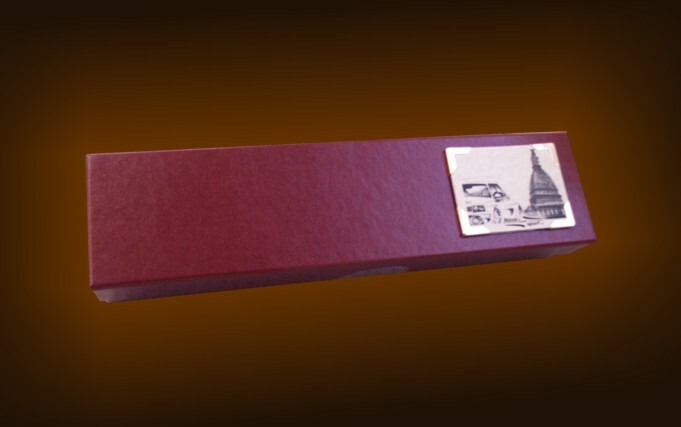 Elegant handmade case with closing top containing 10 or 20 (double-layered) Giandujotti. Label showing technical details as required by current regulations is on the back side. 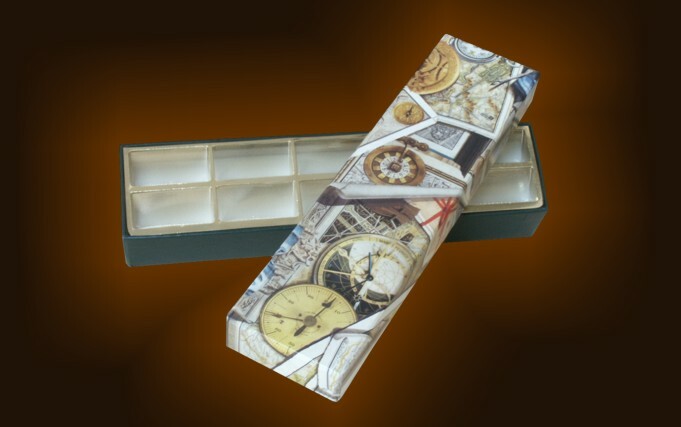 The case is wrapped in protection shrinkable film and can be customized with hot printing or with a colourpicture from the available ones or provided by the customer. 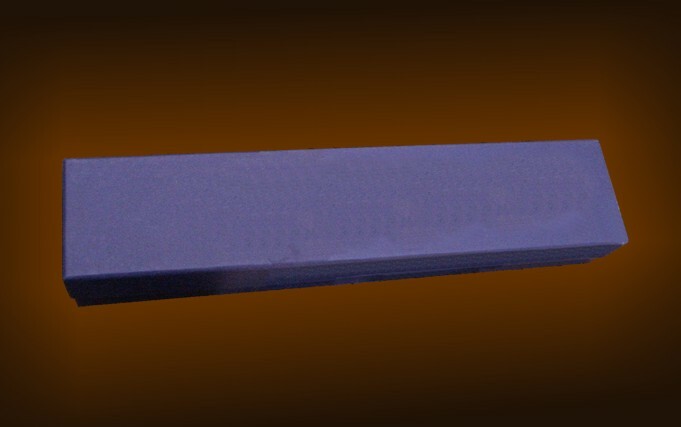 Dimensions and weight : Length 280 mm. Width 70 mm. Height 50 mm. Weight : 100 g. o 200 g. DL.